Sunday morning I went outside and it was hot and I mean hot out. No wind, blazing sun and just heat. I immediately thought I am going to need something refreshing to quench my thirst. Besides water, I think one of the best summertime drinks is lemonade. As a kid my Grandma would always mix the powdered stuff with a glass of water and say here you go. I always thought it tasted horrible and fake, but we drank it anyway because it was Grandma. 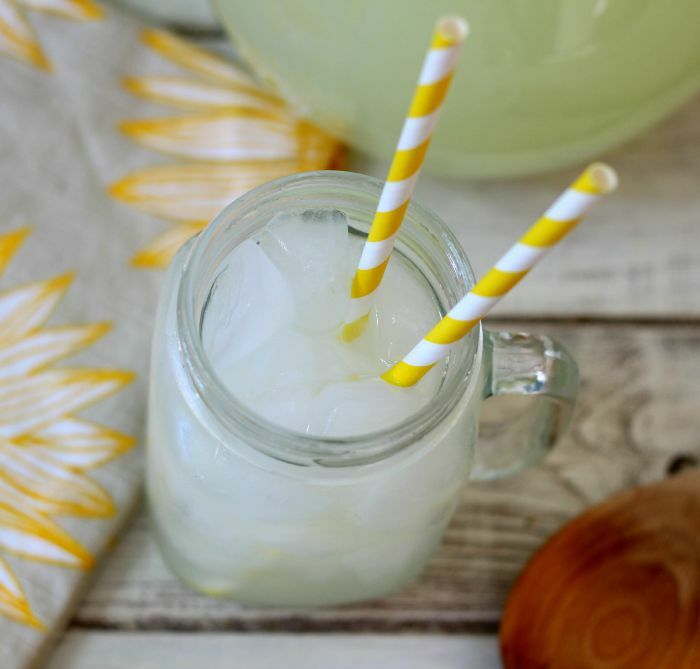 Well today I am sharing with you an all natural lemonade drink that tastes amazing and will cool you off in the summer heat. 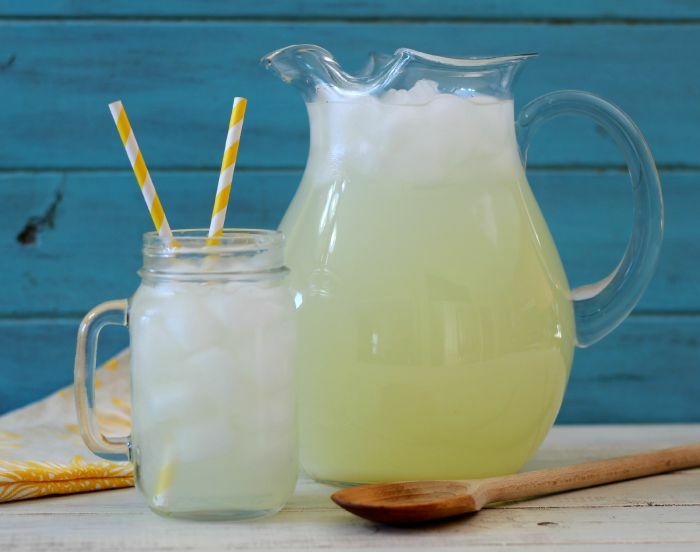 The Lemonade is light, refreshing and sweet, but not overly sweet. I think it is the perfect blend of sugar, water and lemons. I did cheat and used what I had on hand; which was lemon juice from the bottle. It worked out fine and I got lucky I had just enough juice to make a pitcher of lemonade. Yeah! The lemonade is light in color because I didn’t add anything extra too it. 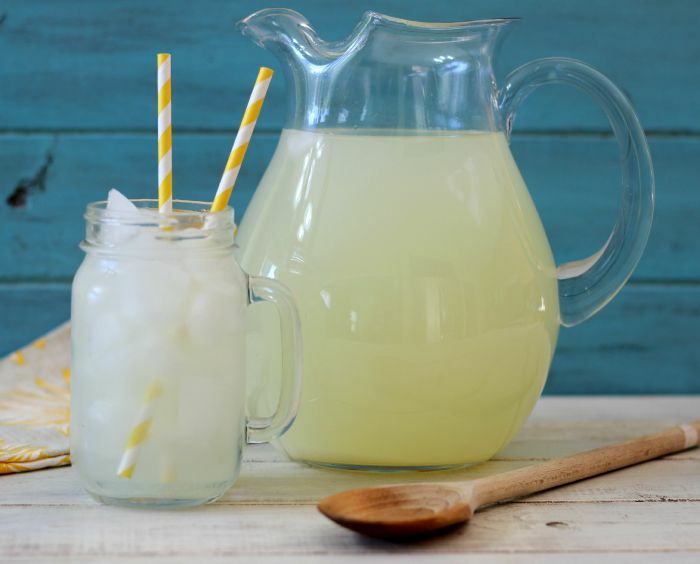 Natural lemonade should be light in color and not that bright yellow that you get from the store. This recipe makes for 8 cups of pure yum! A light, refreshing, perfectly sweetened, citrus drink made with lemons, sugar and water. To make simple syrup: In a sauce pan, add sugar and ¾ cup water and over low heat, cook until sugar is dissolved; stirring constantly. Take off heat and let cool. In a large pitcher, add 8 cups cold water, lemon juice and simple syrup and stir until combined. Add ice and lemon slices if desired. You can use fresh lemons or bottle lemon juice. Add ¼ cup more sugar if you like sweet lemonade. I am very happy with my lemonade and I think you will be too! It’s a breeze to make and if you don’t have patience to let it chill, just add ice to your glass and pour over the lemonade. 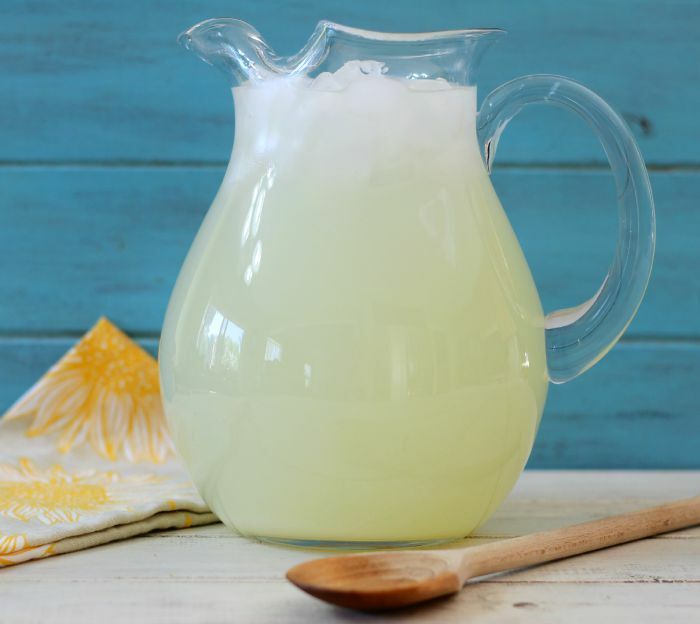 Is there a way to make lemonade without sugar? Maybe replace with Stevia? I love lemonade and all things lemon but have to watch my sugar intake. Hi, I understand watching your sugar intake. You could use stevia. I would just add the lemons, water and a little stevia at a time to see how much you need. Let me know if it works out for you! Enjoy!